Join one of the most respected luxury car sales organizations in Fort Worth assisting customers with pre-owned and CPO sales. Positive environment, great compensation and outstanding devotion to our clients make this a unique opportunity. Experience preferred. We are always looking for great sales representatives for our new Pre-Owned sales department. Even if all positions are currently filled, you are welcome to email us your resume so we will have it for review if a sales position opens up in one of our departments. The drive to succeed in a fast-paced, high-volume environment. Once you’ve printed and filled it out, scan it and email it to us along with your resume and cover letter. Click here to email us about this job. Be sure to attach your completed Autobahn Employment Application, resume and cover letter. We are always looking for porters for our sales and service departments. Experience preferred. 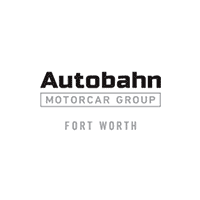 Join one of the most respected luxury car organizations in Fort Worth. Even if all of our positions may currently be filled you are welcome to email us your resume so we will have it for review if a position becomes available.